This is an annual program of contemporary animal welfare considerations presented by international and local speakers. This annual celebration in November recognises animal technicians for their essential contribution as members of the research team that are responsible for providing compassionate attention to the animals in their care. Institutions are invited to join us in taking the time to offer special recognition to those hardworking individuals. ANZLAA has allocated funds to support these special recognition events. State organised events and activities are encouraged. If you want to be involved with a small, intimate group of dedicated animal care personnel while having a great time in New Zealand this conference is for you. The presentations are aimed towards animal technicians, facility mangers, researchers and whoever else is interested in learning about improved lab animal husbandry and practice. This is by far the biggest event of the year. With amazing venues, fantastic presentations from local and international speakers and a wide range of vendors to talk to you about the latest technology in the lab animal industry. This conference gives you the chance to network and form connections with other people in the industry. One of the primary aims of ANZLAA is to promote continuing professional development for those working with animals in research and teaching. One of the ways in which ANZLAA promotes this is by offering grants or scholarships designed to assist our member’s access to educational or other further professional development opportunities that they may not otherwise be able to take advantage of. 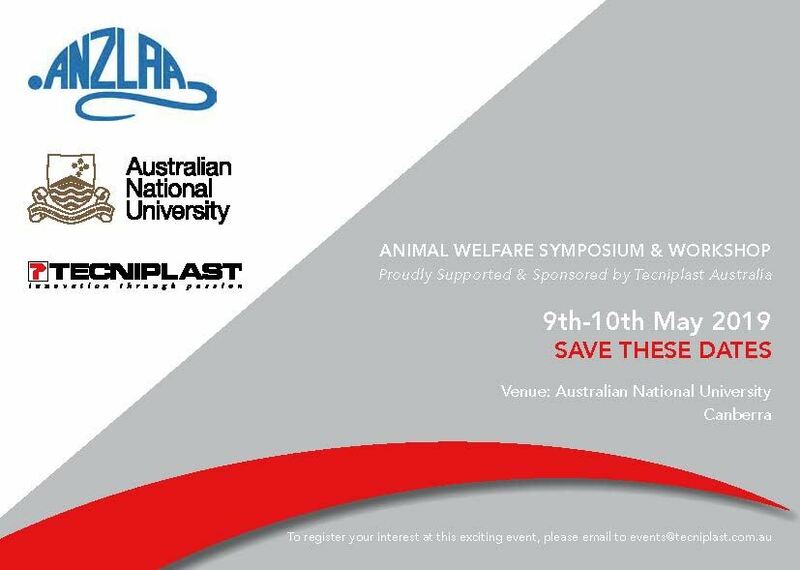 To be held at the Australian National University in Canberra on 9 -10 May 2018, hosted by Tecniplast Australia. Submission of abstracts for papers is now open for ANZLAA members in both Australia and New Zealand, as well as members of affiliated associations for the 2019 NZ Branch Meeting at Massey University, Palmerston North, New Zealand. Abstracts will be accepted until 3 May. Registrations are now open, click here now! If you're interested in becoming an ANZLAA member, please see our Membership section for more information. © 2017 Australian and New Zealand Laboratory Animal Association.